This topic has been the subject of commentary on The Periodic Table for many years. 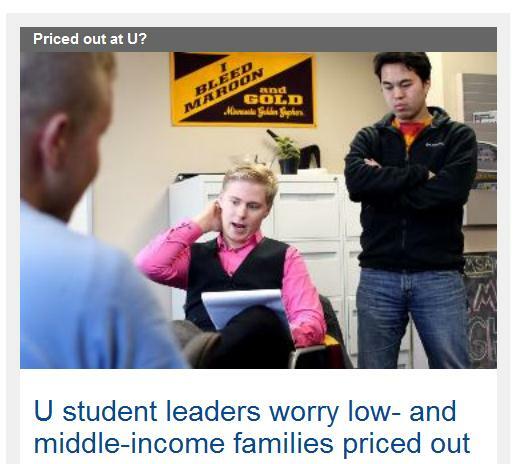 Psst... Wanna Raise Tuition Revenue at The University of Minnesota by 44 Million Dollars? So What's It Going to Be at BigU? A Medallion or a Yugo? For students from states like Illinois, Iowa and Texas, the University of Minnesota is a deal. Too good a deal, some now believe. The university dropped its nonresident tuition four years ago to attract more undergraduates from elsewhere. It is now the cheapest school in the Big Ten for those students. New leaders at the U, surprised by the slim gap between in-state and out-of-state sticker prices, are wondering whether that's fair to Minnesota residents, who have seen their tuition double over the past decade -- or smart for a university hunting for new revenue as state funding has fallen. Reducing the out-of-state price "has put us in a place where we have a good, robust population of out-of-state students," university President Eric Kaler said. "It's probably -- certainly -- time to look carefully at where we are in that out-of-state price point and whether we should grow that." The share of affected students on the Twin Cities campus -- those from other countries or states without tuition reciprocity agreements -- has swelled since 2007 from 7.7 percent to 17.2 percent. Meanwhile, the percentage of resident students dipped slightly, while the number and share of students from reciprocity states such as Wisconsin shrank. The university charges tuition and fees of $18,774 for out-of-state and international undergraduates, and $13,524 for in-state. In contrast, the University of Wisconsin charges $26,628 for nonresidents and $10,379 for residents. In the Big Ten, nonresident tuition and fees averages $29,328. Minnesota is the cheapest of those dozen schools. But when it comes to residents, Minnesota is the group's fourth-most-expensive. For years, Bill Gleason, an associate professor at the U, has been arguing that the strategy causes the university to miss out on tens of millions in revenue each year -- "and that's not chump change." "I think it's fair to say the University of Minnesota should be charging at least the average delta in the Big Ten," Gleason said. "Why are we giving this away?" Before making any big moves, Kaler said, the university needs to study how sensitive out-of-state students are to price. "You don't want to make it so expensive that no out-of-state student chooses to come," Kaler said, "nor do you want to make it so remarkably inexpensive that Minnesota students feel like they're subsidizing out-of-state students." Moreover, one can't assume that any tuition increase would result in pure profit, said Robert McMaster, vice provost and dean of undergraduate education. "To get those students to the university, at least initially, you're going to have to put new financial aid on the table through scholarships and waivers." Across the country, public universities have been recruiting more aggressively across their borders, hungry for the bigger tuition payments from those students. But the University of Minnesota was "something of an outlier," in lowering its tuition, said Patrick Callan, president of the Higher Education Policy Institute. From 2007 to 2012, the U had the biggest drop in published price for out-of-state students of any flagship university in the country, according to an October report by the College Board. Callan said it makes sense that the university would consider raising out-of-state tuition to what the market will bear, but he added that doing so would be "just one more thing that stacks the higher education deck in favor of high-income students. "Even though you might still get a certain kind of diversity in terms of people from other places," he said, "you might be losing a certain amount of economic diversity." The university decreased nonresident tuition in 2008, so that out-of-state and international students would pay only $4,000 more than residents, a gap that has grown slightly since. Former U President Robert Bruininks said then that the plan would keep university enrollment up despite an expected drop in the number of high school graduates in the Midwest. Since then, the number of students from states without reciprocity agreements with Minnesota has more than doubled. "This has been a huge plus for our office of admissions," McMaster said. Despite the growth in out-of-state students, the number of in-state undergraduates at the U has stayed steady, partly because the total undergraduate population has grown. Kaler said his goal is to keep the share of Minnesotans around 70 percent, about where it is now, while further growing the slice of out-of-state students. "I would expect to see that mix change again over time," he said, "bringing more U.S. out-of-state students, probably, perhaps at the expense of reciprocity students." The university focuses its scholarships and grants on Minnesota residents, McMaster said at a Board of Regents meeting this month. The net price that in-state students pay after subtracting aid has grown at a much slower pace than the sticker price, university numbers show. Several regents, who approve tuition rates, said they're ready to discuss widening the difference between resident and nonresident rates. "I would love for us to take that on," Regent Patricia Simmons said during a meeting this month. First, she said, the board should know if out-of-state students stay in Minnesota after they graduate. "If they come to the University of Minnesota from Iowa or Illinois or Massachusetts, do they stay here and contribute to the workforce?" The incoming chairman of the state House higher education committee, Rep. Gene Pelowski, said he has heard complaints from a few parents about the good deal nonresidents are getting at the U. "The intent may have been a good one," said Pelowski, DFL-Winona. "But the downside is that the resident who pays the taxes, who expects to get their best education for the best dollar, they don't see it that way." 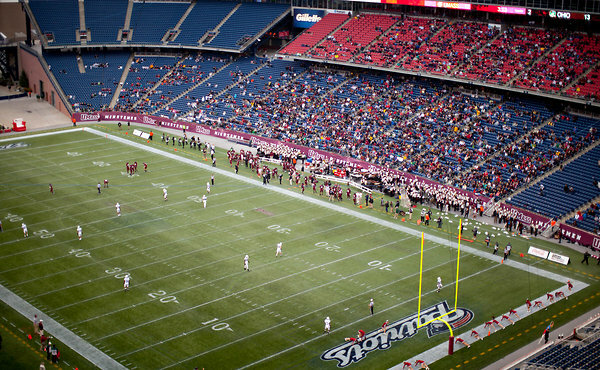 UMass, which absorbed nearly $3 million in new football expenditures, played its home games at a mostly empty Gillette Stadium in Foxborough and compiled an 0-5 record there. "vast majority of established football programs lose money just like their lesser-level brethren"
Regular readers will recognize that many of the points raised below have been raised earlier - in some cases years ago - on the Periodic Table. A recent example is: On The Cost of Administration, Part III. MINNEAPOLIS—When Eric Kaler became president of the University of Minnesota last year, he pledged to curb soaring tuition by cutting administrative overhead. But he hit a snag: No one could tell him exactly what it cost to manage the school. Like many public colleges, the University of Minnesota went on a spending spree over the past decade, paid for by a steady stream of state money and rising tuition. Officials didn't keep close tabs on their payroll as it swelled beyond 19,000 employees, nearly one for every 3½ students. "The more questions I asked, the less happy I was," Dr. Kaler said. Many of the newly hired, it turns out, were doing little teaching. A Wall Street Journal analysis of University of Minnesota salary and employment records from 2001 through last spring shows that the system added more than 1,000 administrators over that period. Their ranks grew 37%, more than twice as fast as the teaching corps and nearly twice as fast as the student body. Across U.S. higher education, nonclassroom costs have ballooned, administrative payrolls being a prime example. The number of employees hired by colleges and universities to manage or administer people, programs and regulations increased 50% faster than the number of instructors between 2001 and 2011, the U.S. Department of Education says. It's part of the reason that tuition, according to the Bureau of Labor Statistics, has risen even faster than health-care costs. 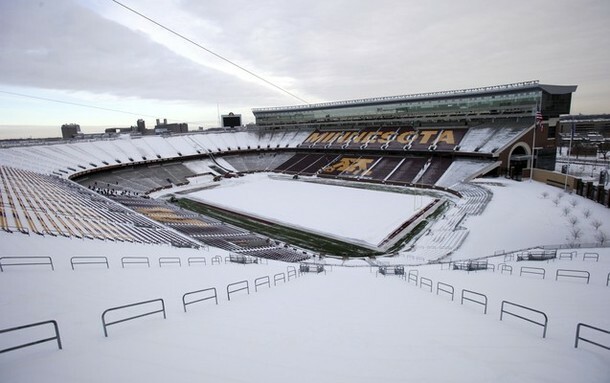 The University of Minnesota illustrates the trend. Its main Twin Cities campus had the largest share of employees classified as "executive/administrative and managerial" among the 72 "very-high-research" public universities in the 2011-12 academic year, according to data compiled by the U.S. Department of Education. Minnesota officials say the figures are misleading because not all schools report administrative spending the same way. At Minnesota, tuition and fees for state residents have more than doubled in a decade, to $13,524. That far exceeds the average at four-year public colleges of $8,655, which also represents a doubling, according to the College Board. 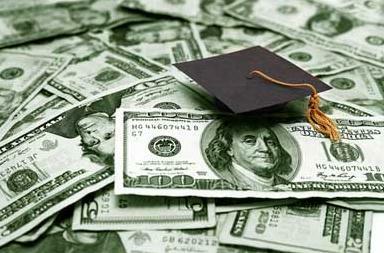 Private-college tuition averages $29,056, but has risen more slowly. For students, the effect is striking. In 1975, a University of Minnesota undergraduate could cover tuition by working six hours a week year-round at a minimum-wage job, the Journal calculated. Today, a student would have to work 32 hours at minimum wage to cover the cost. Gregory Kiss, a sophomore business major, expects to graduate owing more than $30,000. Trying to economize, he bought a dining plan that provides only 10 meals a week. Mr. Kiss tapped a nerve when he launched a website listing campus events where free food was to be had. He has attended lectures about evangelical Christianity, (with free Korean BBQ), cell regeneration (burritos) and something called "the feast of nations," which he says was the tastiest. "I think it's a good school and it's a good value, but I know I'm going to be paying it off for a long time," Mr. Kiss says. The bureaucracy finds numerous ways to spend money. Officials have spent millions planning a not-yet-built residential community 20 miles from the University of Minnesota Twin Cities campus designed in part to showcase sustainable energy and environmental stewardship. Administrative employees make up an increasing share of the university's higher-paid people. The school employs 353 people earning more than $200,000 a year. That is up 57% from the inflation-adjusted pay equivalent in 2001. Among this $200,000-plus group, 81 today have administrative titles, versus 39 in 2001. Administrators making over $300,000 in inflation-adjusted terms rose to 17 from seven. Many forces besides administrative overhead add to universities' cost pressures, among them health-care and retirement expenses. And among the administrative spending, some is unavoidable, such as that owing to federal rules requiring greater spending to oversee research grants or accommodations for students with disabilities. Schools also compete—by necessity, they say—to offer fancier dorms, dining halls, gyms and other amenities, to raise their rankings and attract students. "It's a competitive business, and institutions compete for students the same way Lexus and Mercedes compete for car buyers," says Paul Lingenfelter, executive director of the State Higher Education Executive Officers Association. To compete, schools have stepped up borrowing for construction. Total debt at public four-year colleges more than tripled between 2002 and 2011, to $88 billion, according to the Department of Education. At the University of Minnesota, the yearly cost of servicing debt more than doubled to $106 million in that time. For decades, public universities were somewhat insulated from financial rigor by steadily increasing state funding. That has slowed or stopped in many states in tight budgetary times. Minnesota's government last year contributed $570 million to university operations, which was about the same as in the 2003-04 school year despite inflation and roughly 10% increased enrollment. Higher education now faces pressures similar to those that reshaped other segments, Minnesota's Dr. Kaler says. "You look at American industry in general—the car industry got comfortable until the Japanese showed up, the airline industry was comfortable until it got deregulated," he says. "Now it's higher ed's turn." 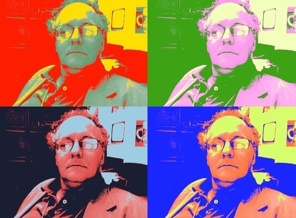 Academia's contemplative culture can provide fertile ground for growth in bureaucracy. In a speech after becoming president, Dr. Kaler told the story of 33 words inscribed on the auditorium in 1936. It took the creation of an inscription committee, the hiring of an "inscription consultant"—and 12 years—before chisel met stone, he said. The number of employees at the University of Minnesota with "human resources" or "personnel" in their job title—272—has increased by a third since the 2004-2005 academic year, a period during which the enrollment grew approximately 8%. In its Office of Equity and Diversity, the number of people with "director" in their title grew to 10 in the 2011-2012 school year from just four directors five years earlier, by a university official's count. Growth in the diversity office is an attempt to make the campus "more inclusive and more welcoming to people of different backgrounds," Dr. Kaler says. Caution fed bureaucratic growth after the school agreed to pay the federal government $32 million in 1998 to settle allegations relating to sales of an unlicensed transplant drug. The school acknowledged mismanagement of grant funds, and the National Institutes of Health put its grant applications under special scrutiny, creating research delays and faculty departures. To prevent a repeat, officials imposed "fairly onerous bureaucratic processes," said R. Timothy Mulcahy, vice president for research. He said the university "evolved a very, very risk-averse, very, very conservative culture." Several years ago, Russell Luepker, a professor of epidemiology at the school of public health, sought reimbursement for a $12 parking bill. The form went from a secretary to the head of his department to an accountant who entered it in a computer to a senior accountant responsible for approving it. Richard Portnoy, chief administrative officer in the epidemiology department, estimates it cost $75 to move the paperwork. When Dr. Luepker heard of it, he stopped filing for parking reimbursements. The Journal, using payroll data provided by the university, calculated that across all of the system's campuses, administrators consume 24% of the payroll, up from 20% in 2001. Employees who teach, such as professors, lecturers and instructors, account for 37% of the payroll, down from 39% in 2001, the Journal calculated. The university hasn't maintained a consistent definition of an administrative employee through the years. The Journal based its analysis on 151 job titles the university classified as executive, administrative or managerial at some point between 2001 and 2012. To make year-to-year comparison valid, the Journal included all 151 such job titles for each year. Likewise, the Journal's totals for teaching jobs include all 42 job titles the university has considered instructional at some point between 2001 and 2012. The university said many employees at the school wear several hats, so that some who have administrative titles also teach, and some job titles don't accurately describe the work an employee actually does. In June, the university did its own analysis of compensation, which totals well over $1 billion a year. One conclusion it reached was that salary and fringe benefits for those in "leadership"—previously 6% of the compensation total—had risen to 7% of total compensation. A university spokesman, Chuck Tombarge, said administrative efforts such as giving guidance to students do generate benefits. He pointed to the Twin Cities campus's rate of four-year graduation: about 58% in 2008, up from 41% in 2002. Dr. Kaler, in his inaugural address in September 2011, criticized the costs of "long meetings, excessive committee deliberations and endless email chains" that contribute to a "tangled web of bureaucracy that dogs us." He pledged to reduce administrative expenses. One hurdle: The system's chief financial officer, Richard Pfutzenreuter III, says that while he can track the cost of heating a particular floor of a building or of serving a cafeteria meal, he can't specify elements of the hierarchy such as how many people report to each manager. The human-resources system doesn't track such chain-of-command information, he said, because "it wasn't a priority in the past." Streamlining the chain of command has proved important in controlling costs elsewhere. A 2010 analysis of the University of California Berkeley by Bain & Co. found that supervisors oversaw an average of 5.1 employees. The school raised that to 7.1 and saved $20.5 million annually, says Andrew Szeri, dean of Berkeley's graduate division. 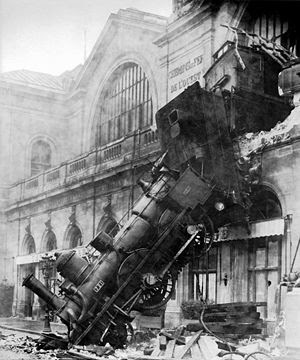 Dr. Kaler ordered a review of Minnesota's spending. A survey found that in the system, which has about 43,800 undergraduates and 68,400 students in all, people were calling 73 different numbers for help with computer trouble. He is trying to reduce that to one. Some things the school uses money for are arguably distant from its teaching mission. Since 2006, it has spent $10 million on consultants and others for UMORE Park, a planned 30,000-resident community that the university will build on land it has 20 miles from the Twin Cities campus. School officials say the community reflects the changing mission of a public university in the 21st century. They also say it will one day yield a large return, partly from gravel that can be extracted on the land and sold. Meanwhile, however, the project is decades from completion but already has four staff members, including a $171,000-a-year director. The University of Minnesota system employs 139 people in its promotions, marketing and communications departments. It has spent more than $8 million since 2006 on an ad campaign to buff its image. A university spokesman said these efforts encourage donations that, in part, help fund scholarships. When state funding initially grew tighter, Dr. Kaler's predecessor, Robert Bruininks, says he responded with a wide range of steps that included freezing or reducing salaries, eliminating 14 car allowances, restructuring the health-care and retirement systems and closing dozens of extension-school offices. Dr. Bruininks said he "reduced the number of vice presidents by three during my last year," and "we reduced the number of deans by three in closing and combining colleges." The austerity measures weren't evenly distributed. Traditionally, professors who had temporarily taken administrative roles but were returning to teaching have been given a year of paid leave to refresh their skills. The pay traditionally was not at their higher administrative level but the academic level. Before leaving last year, Dr. Bruininks approved more than $2 million of such transition packages, in some cases at the employees' higher administrative salaries. An uproar that ensued when the Minneapolis Star Tribune reported on the payments earlier this year led the school's Board of Regents to tighten its oversight of the packages, diminishing the president's discretion. Dr. Bruininks said that the dollar amount was high in part because there were so many administrators transitioning back to academia and that the packages were appropriate "to attract and retain leaders in higher education." Dr. Kaler has a salary of $610,000 and his chief of staff of $195,000. Minnesota's governor makes $120,000. Mr. Kaler, 56, said his pay "is competitive in the marketplace." He has turned down an $18,000 raise. Among his efforts to economize, Dr. Kaler said he recently eliminated the office of academic administration after its head took a job elsewhere. He said the move will cut 5.5 full-time positions, including a senior vice president who earned $300,000-plus. Dr. Kaler said he wants to bring discipline, accountability and transparency to the school's administration. Fifteen months into the job, he figures he is about 45% of the way there. To Dr. Luepker, in the public-health department, such goals are up against an institutional inertia that inhibits the periodic streamlining common in business. "We establish things and programs and they never quite go away," Dr. Luepker says. "They're nice people and they're colleagues and they're good people…but in this environment, you have to ask can we continue to do this?" While President Eric Kaler characterized the report as "a calibration," Luepker contends that "this is a big deal." To get the lowdown on the new, outside report on the University of Minnesota's Academic Health Center, I spoke with Dr. Russell Luepker. He's a Mayo Professor of Public Health in the School of Public Health and has also held leadership positions on university senate and faculty committees. His insight into the importance of the report and its place in a larger conversation about the state of the medical school was so strong that I will include much of it here. I think this university in the health sciences has the ability and resources to be a first-rate place. And while there are certainly first-rate units and individuals, the whole has a way to go. I think without a medical school that is moving ahead, none of us will make it. To move forward, we need leadership and a vision. I think the president gets that. Luepker came to the U's medical school in 1976, "when we were in the top 20." But since then, "we have gradually fallen in the rankings. And everyone in the country knows it, unfortunately. Something has to be done." An earlier, internal report "didn't answer many of the questions that bedeviled us," Luepker said. Kaler recognized that and announced that he would bring in an outside group. The panel noted that the medical school's relationship with Fairview Health Services is the source of "a great deal of concern." Luepker shares that concern. The agreement they forged "is a bad deal," he said, not just because it doesn't give the university a fair share of revenue. "People talk about money, and of course money is important... But it's also about the concepts of teaching and research. Their thinking has never been, despite many attempts, 'We have a teaching hospital here that does important research.' "
Luepker praised the panel for noting the friction with Fairview, as well as the importance of involving faculty in strategic planning and the need for greater transparency when it comes to finances and costs. "The president is looking hard, I think, at our administrative overhead," he said. "We have duplicated functions and we can pare back." Kaler urged the faculty to accept the current leadership structure in the Academic Health Center and move on. But Luepker notes that a lot of the discussion about structure -- whether the dean of the medical school should also be vice president of health sciences -- is really a Minnesotan way to approach a bigger conversation about leadership. "Do we have the right people? The right leadership and visionary leadership?" The University of Minnesota's Academic Health Center needs a clearer vision of its future to shake off a "malaise" that has plagued it, said an outside review committee. U President Eric Kaler launched the review of the center, which includes the university's medical school, the main training ground for physicians in the state. While some health science schools at the U rank high nationally, the med school's reputation and rankings have flagged -- an issue Kaler has deemed a priority. In a report the U released publicly Monday, Dec. 17, the three-member committee offered few specific prescriptions but stressed the need for the AHC community to rally around a common vision. Kaler responded by charging Medical School Dean Aaron Friedman with appointing a faculty-led group to produce a strategic plan by next summer. "We need a vision and plan that brings together our faculty and staff and sets a foundation for growth and investment," Kaler said, adding that the U's health sciences community needs to refocus on its many strengths. Other than that, U Director of Public Relations Chuck Tombarge pointed out, the external review will not trigger any immediate changes at the health center. Kaler tapped Dr. Kenneth Kaushansky, the school of medicine dean at his former institution, Stony Brook University in New York, to head the committee. The group surveyed and interviewed faculty and staff and reviewed budget and accreditation documents. "Our overall impression was that the University of Minnesota's health sciences are strong, but are at risk from several external and internal forces," the committee wrote. The Academic Health Center has excellent faculty and students as well as a strong research portfolio, the report said. But a long-standing debate over the center's administrative structure has consumed too much energy amid a rapidly changing health care environment. Many faculty spoke of the need for greater transparency, the report said. There were also concerns Friedman's dual role as medical school dean and vice president of health sciences makes the job too unwieldy. Above all, though, the medical school needs "a vision of where it is going and how it will get there." The report also suggested the U seek out new clinical partnerships even as it continues to negotiate with its main partner, Fairview Health Services, on overhauling a relationship many at the university criticized. Kaler said those negotiations delayed the release of the report and his response. Poor and middle-class students make up a smaller share of the University of Minnesota's undergraduate population than a decade ago. That has student leaders worried that many Minnesotans are being priced out of the state's land-grant university. The share of undergraduates on the Twin Cities campus from families with incomes less than $110,000 has shrunk since 2001, the university's numbers show. Meanwhile, the proportion from families making more than $110,000 a year has grown -- from 9 percent in 2001 to 23 percent in 2011. That highest-income bracket, once the smallest, is now the biggest. Flagship schools across the country have been raising tuition to cover deep cuts in state funding and, as a result, most are enrolling more wealthy students, said Tom Mortenson, an Iowa-based higher education analyst. ... data from the state demographer show that households with incomes that exceed $110,000 "still make up only 17 to 18 percent of the state's population, suggesting that 23 percent of the student body coming from these households is not fully explained by these societal trends," the report says. Their conclusion: It's tuition. In-state tuition and fees at the Twin Cities campus exceed $13,500 this year. After adding other costs, including room and board, the total comes to almost $24,900. "We're asking them to look into whether we're leaving certain student populations out that have previously been the main population at the University of Minnesota," said Meghan Mason, vice chair of the student representatives to the board. "What is the role of the land-grant university?" The main consequence of shifting higher education's cost from taxpayers to tuition has been that "all of the gains in bachelor's degree completion have gone to students who were born into the top half of the family income distribution," Mortenson said. McMaster attributes much of the growth in higher-income students to the U's goal of becoming more selective. The average ACT composite score of undergraduates entering in 2012 was 27.7, an all-time high, the regents learned Thursday. Increasing selectivity indirectly favors higher-income families who can afford to send their children to private schools and pay for tutors to help them prepare for tests, said Taylor Williams, student body president. "I know more students in my high school who weren't able to gain admittance than I do those who had to turn it down because of the cost," he said. While the share of students from the lowest income bracket dropped from 24 percent to 20 percent, the number of those students actually grew -- from about 4,200 to 5,800. That's because the number of U undergraduates swelled by almost 12,000. Growth was concentrated in the highest-income group. The number of undergrads from families making more than $110,000 more than quadrupled -- from 1,491 in 2001 to 6,609 in 2011. Both the share and the number of students from families making $30,000 to $75,000 dropped. Some serious re-engineering is going to be required at the U of M.
Thursday’s announcement from the University of California, Los Angeles, of a $100 million medical student scholarship fund should inspire all of us to question the fact that medical education in the United States is paid for largely by student debt. Mr. Geffen and school officials hope that eventually the school will be able to pay for all medical students and free them from the obligation to take out student loans. The median debt for medical students upon graduation is more than $160,000, with almost a third of students owing more than $200,000. And those figures do not include interest costs over payback periods of 25 to 30 years. There are several reasons for the runaway costs. One is that the academic medical centers that house medical schools have become increasingly complex and expensive to run, and administrators have relied on tuition hikes to support research and clinical resources that may have only an indirect impact on medical student education. An equally important contributor to the problem has been our society’s placid acceptance of educational debt as the norm, a prerequisite to becoming a doctor. And, say many observers, newly minted doctors will earn big salaries, allowing them easily to reimburse their loans. While it is true that most doctors can pay off their debt over time, those insouciant observers fail to consider how loan burdens can weigh heavily on a young person’s idealism and career decisions. For example, financial considerations have been shown to be a major deterrent for undergraduate students considering a career in medicine, particularly for students from diverse backgrounds. And even the most committed students who do make it to med school may eschew research or specialties like geriatrics, family medicine and pediatrics in favor of a more lucrative career in dermatology or ophthalmology. These choices have enormous social repercussions. Despite the well-studied benefits of a diverse physician workforce, more than half of all medical students currently come from families with household incomes in the top quintile of the nation. Even more worrisome, student concerns about debt are exacerbating the nation’s physician shortage. By the end of this decade, we will be short nearly 50,000 primary care physicians and an additional 50,000 doctors of any kind. ...the real importance of Mr. Geffen’s donation for the rest of us lies in not its historic largesse, nor its hopeful vision. Rather, it is in the dramatic impact one individual can make when he makes medical education a priority, and the inevitable question such a gesture raises: Why has our society been so slow to do the same? Are Graduating With Crushing Debts? My friend Michael McNabb recently wrote concerning the above topic. This struck a strong chord with me because I believe that bad decisions have been made in the last ten years in allocations of resources. This has exacerbated the problem - for students - by putting unreasonable pressure on tuition, leading to excessive increases. Of course more state funding is needed, but the blame for tuition increases should be shared by the University of Minnesota administration. "When Greer graduated in 1953, tuition at the Law School was $200 per year. When Ann graduated in 1979, it was less than $1,300, and when Jim graduated in 1986, it was less than $2,700. The reason, of course, is that our legal educations were heavily subsidized by the taxpayers of the State of Minnesota. Today, it's a different story. Funding from the state covers less than six percent of the budget and that amount goes exclusively to fund the Law Library, which is available to and shared with the entire University and the greater community including government offices and the Bench and Bar. In-state tuition now tops $36,000 per year, and students now graduate with six figures of debt from the Law School alone." November 15, 2012 U of M Law School fund raising letter from the co-chairs of the Partners in Excellence Annual Fund (emphasis added). The increase in tuition is not simply the function of a reduction in state appropriations. The U of M administration increased spending from $2 billion in fiscal year 2002 to $3 billion in fiscal year 2012. The fuel for this billion dollar explosion was skyrocketing tuition that soared from $293 million in fiscal year 2002 to $634 million in fiscal year 2011. This astronomical rise in tuition far exceeded any reduction in state appropriations. See Ten Year Review of University Inc. In fiscal year 2012 the University received $484 million in state appropriations for its general fund (the Operations & Maintenance fund). See p. 103 of the September 9, 2011 report of the Board of Regents. Senior administrators (with the approval of the Regents) made the decision to allocate less than 1% of the state appropriations to the law school ($3.6 million) and to the business school ($3.3 million). See p. 81 of the June 20, 2011 report of the Board of Regents. The senior administrators at the law school and the business school claim that state appropriations pay for less than 10% of the operating budgets of those schools. The fact is that the central administration makes those allocations, not the state legislature. See Going To Market Part II. The prospect of an increase in state appropriations appears remote with the legislature facing a projected deficit of more than $1 billion when the $2.4 billion state IOU to school districts for K-12 education is taken into account. So what can we do as a practical matter? We should start with substantial reductions in the cost of administration that consumed 28% ($852 million) of the University budget in fiscal year 2012. See On The Cost of Administration Part III. The savings should be used to roll back tuition as the most effective and efficient way of providing financial aid. We need to once again make higher education affordable for all qualified students. The authors of the fund raising letter are correct that our children are being handed crushing debt with their diplomas. Our oldest son graduated in 2005 with dental school student loan debt of nearly $200,000. Our oldest daughter graduated in 2008 with medical school student loan debt of more than $200,000. One of our twin daughters graduated in 2012 with law school student loan debt of almost $150,000. Concordia University (St. Paul) recently demonstrated that tuition can be slashed (by $10,000 per year) when it recognized that the "high tuition high financial aid" experiment has failed. See the September 12, 2012 front page report in the Pioneer Press on Concordia Slashes Cost.